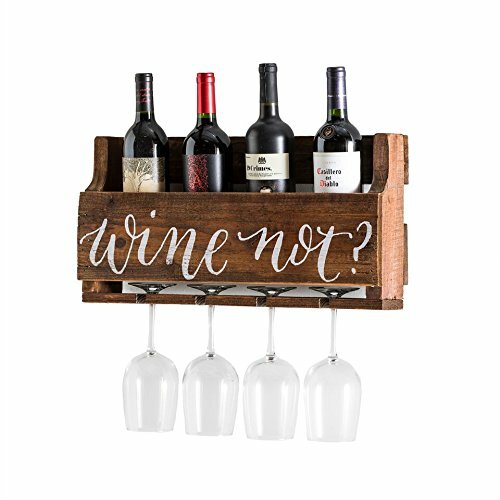 Made from reclaimed pallet wood, this wine rack makes a great gift or addition to your home. The weathered wood is stained in walnut or painted with "Wine Not?" printed on the front for a unique touch. Each rack can hold 4 standard sized wine bottles and 4 standard stemmed glasses.